Eventnook allows you to select from 3 website themes to customize your event page. Follow these simple steps to apply a website theme. Click on "Edit Event" in your events dashboard. Click on the tab "Site Content" located on the top. 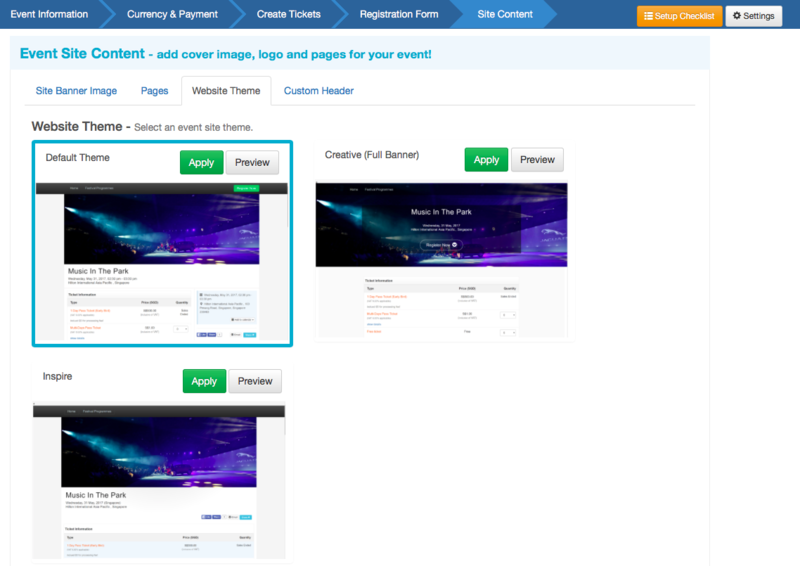 Select the "Website Theme" tab from the Event Site Content options (on the same row as Site Banner Image, Pages and Custom Header). Choose from 3 website theme options for your event page.